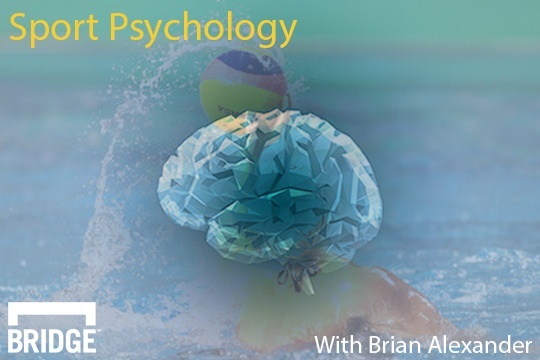 This month’s edition of Sports Psychology builds on The Skill of Reflection, a discussion of how athletes’ view of their past performances affects their future competitions, posted last month on the blog. The greatest performances in history across sports all started with one important developed trait: confidence. Athletes and teams that achieve excellence on the biggest stage at some point come to believe in themselves, their training, and their ability to realize their peak potential in that moment. Ironically, and perhaps counter-intuitively, developing confidence does not start by looking forward at the goals you want to achieve. Rather, it starts by developing a deeper level of self-awareness through the introspection and reflection of past peak performances when physiological and psychological factors align optimally for you and other athletes. Your own past peak performances are the most important because you have detailed knowledge from first-person experience but you can learn a lot from watching others as well. One of the most important points an athlete needs to understand is that confidence is developed through practice, not inherited. Confidence must be nurtured and developed over time, knowing that it can be influenced by both positive and negative feedback from one’s social environment. This step-by-step process is also why reflecting on past performance plays an important role in developing one’s belief about themselves and their performance-specific skills. Reflection can provide knowledge and insights for athletes because, when it comes time to perform, they have total control in their ability to execute. This control begins with their belief that success is possible and should not be immediately destroyed by mistakes along the way. While one extraordinary feat by a talented athlete doesn’t prove the need for belief in oneself and the effect confidence can have on athletes, it is amazing to know that immediately following Bannister’s world record setting achievement 37 other runners broke the barrier that same year! These runners, who accomplished what was never before thought possible, erased their doubts that held their performances back. Of course, extraordinary feats require hard work and persistent training, but without the mental side, extraordinary potential can remain ordinary.